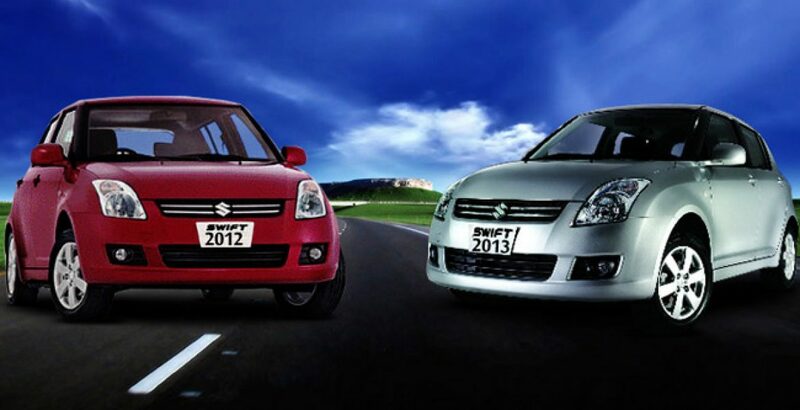 The news is out, the new 2013 model of Suzuki swift is not going to be new at all. Suzuki Swift 2012 model gained much popularity among car lovers and embarked as one of the most demanded vehicles in the market. With the winning tags of car of the year in Australia and New Zealand, the Suzuki Swift has broken the estimated limits of revenues in Pakistani market as well. With this rapid popularity growth, the company is now pondering over the manufacturing of new model of 2013 that is expected to reach the markets very soon. After successful implementation of EURO-II standards of emission by European regulations, Suzuki also advertised that it has converted all its engines to these emission standards in every petrol-driven vehicle. This standard applies that a vehicle cannot emit Carbon Monoxide more than 2.2 gram/kilometer to reduce the air pollution. Suzuki Swift 2013 will have minor engine changes to follow the same technology integration in it; rest of the car is the same according to some sources. The tradition of Suzuki has been not very intelligent when it comes to making car designs except only a few changes even after years like remodeling the front bumper and headlamps. The new model is not even expecting this. You can read about Suzuki Swift 2012 in another post to know about its performance, interior and exterior features to have a concept of the new model. A few months back, Suzuki Pakistan also launched the automatic model of Swift, which has received some positive and a lot of negative reviews on it. The car has been overpriced too much extent. Just adding some 1 or 2 lacs, a big car can be owned like Suzuki Liana Vurv, which contains more space and elegance compared to this small car. The price tradition will also continue over to next year as well. Talking about rest of the trims, there is no noticeable change in the car from the previous model. According to leading car experts, the car will remain the same bumper to bumper. Like the 2012 model of Suzuki Swift, the new one will come with the 1.2-litre 4-cylindered engine and 5-speed manual and 4-speed automatic transmission, which it is taken from the previous model. The security features of the car are also the same, having power steering, dual airbags and ABS with EBD. The operative features are; full power control, alloy wheels, fog lamps, keyless entry system, USB panel and automatic environment controller, all carry forward from the previous model. All these features require major work load of engineers to modify them and integrate the new ones. To top everything up, Suzuki didn’t even come up with a single new color change. The seats, the body color and the layout inside the car is also the same as in 2012. The only change from the previous model is change in the emission ratings, which is inclusion of Euro II in its manufacturing. Rest of the car is old wine with a new label.